The CID has revealed that Perpetual Treasuries company has, on about 45,000 instances, given large sums of money to individuals of various standings say reports. The CID has also revealed that Perpetual Treasuries has used its associate companies to pay various individuals but the cheques have been cashed by others. The names of individuals who have received money from Perpetual Treasuries have been noted down in registers of the company. However, due to the names are indicated by initials investigations are being carried out to find out the names of individual say reports. The information has been revealed in the report compiled by the CID when investigating a complaint from the Governor of Central Bank Indrajit Kumaraswamy to find out whether confidential information when issuing Treasury bonds had been leaked by certain parties of eh Central Bank. A list of 500 names of people who were said to have been made to disappear within the war situation has been released by the UN Committee on Enforced Disappearances. Also, the committee recommends that the government of Sri Lanka should immediately investigate and take all the necessary measures, including interim measures, to locate and protect them, in application of article 30 of the International Convention for the Protection of all Persons against Enforced Disappearance states the Chairperson. She said the government should protect such individuals until they receive justice. It is too early to get excited about a presidential election, let’s watch what happens as the JVP has presented the 20th amendment to abolish executive presidency says former President Mahinda Rajapaksa. He said this after participating in a ceremony held in Kandy yesterday (15th). 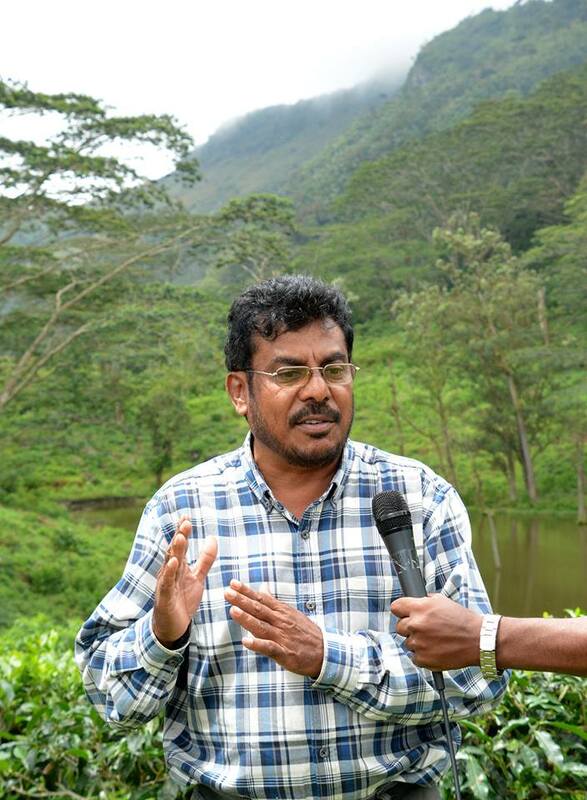 It has been confirmed that a 35-acre land has been given from the buffer zone of the Knuckles Range to build a hotel says the JVP Member of Uva Provincial Council Samantha Viddyaratna. 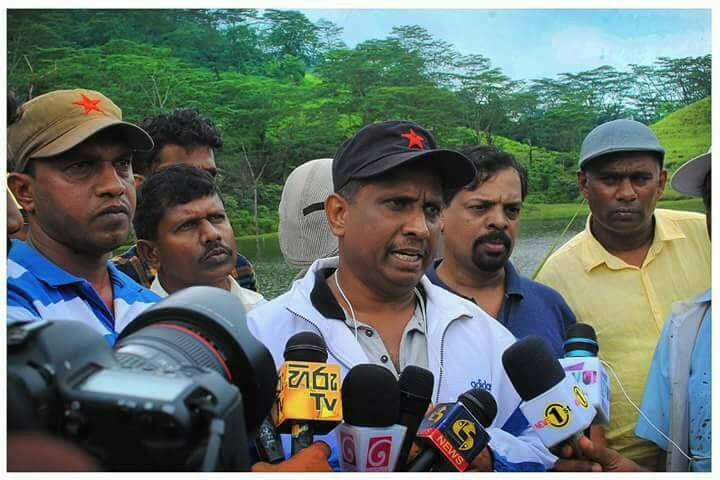 Mr Viddyaratna and a group from Right for Life’ went on an observation tour to the Knuckles Range yesterday (15th) and it was revealed that the statement made by Minister Lakshman Kiriella that no land from Knuckles Range was given to build a hotel was totally false. 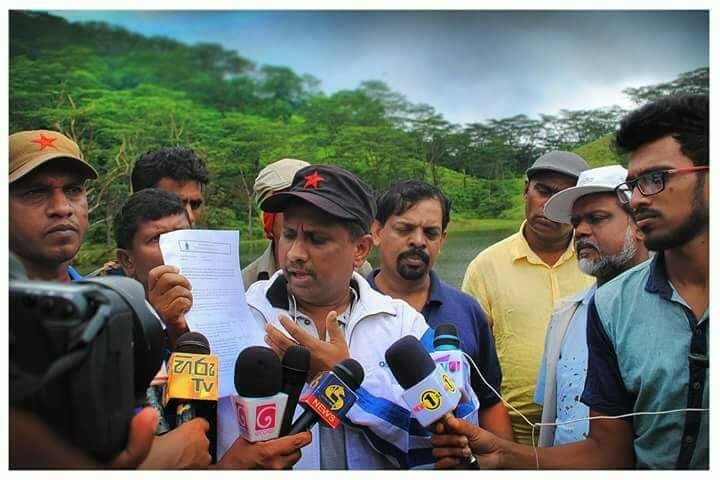 The environmental organizations, after their tour to Knuckles Range, confirmed that a 35 acre land in Medawatta Estate that includes Kataramtenne Dankanda tank has been leased to a company for 35 years to build a hotel. 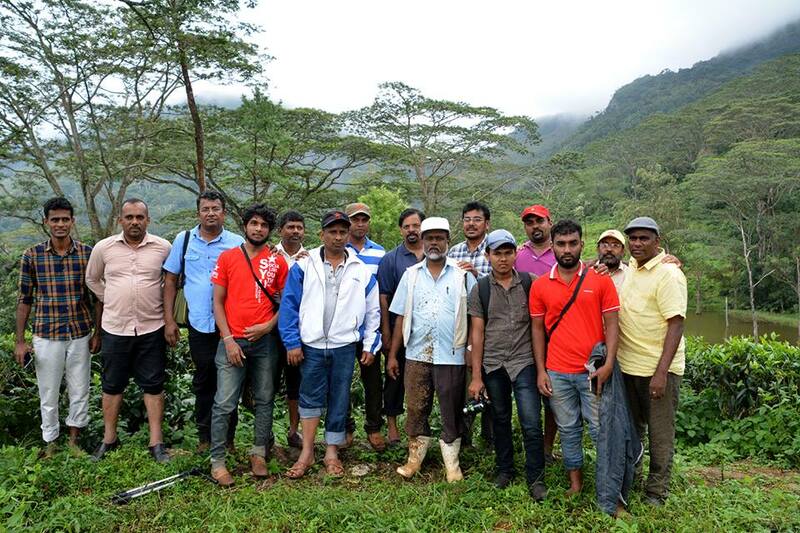 Among the group that participated on this observation tour were Dr Asoka Ranwala, the Executive Director of ‘Gratec’ Sri Lanka Environmental Organization Gamini Jayatissa, Senior Geologist Anton Jayakody and Dr Sshammika Liyanage from the University of Ruhuna. The government that knows the prices of all but doesn’t know their value is engaged in a plunder of 21,000 acres of land that belongs to the Knuckles Range. The area is which is a conservation Forest and a World heritage Conservation Area is one the most important biodiversity environments. It is a range of mountains and a great water and wildlife resource. It also records a very high and unique level of biodiversity. This includes 1,033 species of plants, with 15% of them being endemic, and 247 species of vertebrates, with over a quarter of them being endemic and threatened. 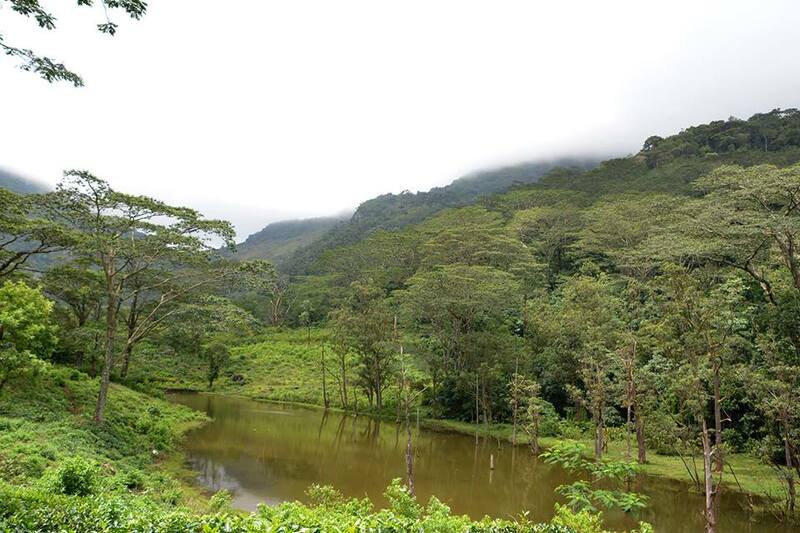 Knuckles constitutes 30% of the watershed forest of the Mahaweli river catchment, the largest river in Sri Lanka and is a major source of water for agriculture and power generation. Several tributaries of the Mahaweli river originate from the Knuckles forest, with the area serving as part of the upper and middle catchments of the river. The forest also plays a crucial role in regulating water quality and flow rate. It is also the main source of water for Moragahakanda and Kaluganga reservoirs. After observing the land including the Kataramtenne tank that has been sold at Rs. 2850 an acre, the massive environmental destruction being carried out in the range, the destruction of the quartz deposits and seeing the danger Knuckles range is facing due to the idiotic decision by the government to sell its lands Mr Samantha Vidyratna said The government that knows the prices of all doesn’t know their value. Video: Who does he refer to? At a meeting held in Galle yesterday (15th) Mr Basil Rajapaksa admitted that several crimes including the murders at Rathupaswala, the killing of a fisherman at Chilaw, the murder at Katunayaka Industrial Zone, tying state employees to trees, torching election stages had been committed during Mahinda Rajapaksa administration. When looking at incidents that are taking place now a suspicion arises whether such crimes were committed to toppling the Mahinda Rajapaksa administration emphasized Mr Basil Rajapaksa. Political analysts speaking about Mr Basil Rajapaksa’s statement say he is targeting Mr Gotabhaya Rajapaksa. During Mr Mahinda Rajapaksa’s administration, Mr Gotabhaya Rajapaksa was directly accused of deploying white vans for abductions, abducting journalists, murders, collecting ransoms and shooting at various agitations. Christiano Ronaldo’s 51st hat trick in his career enabled Portugal to draw its 2nd round World Cup match played against Spain in Sochi, Russia yesterday (15th) night. Ronaldo scored his 82nd, 83rd and 84th career goals for Portugal to match Puskas, who played for Hungary from 1945 to 1956. His hat trick also brought him level with Ferenc Puskas for the most international goals by a European player. Ronaldo had twice given his side the lead in the first half, only for Diego Costa to equalise each time for a Spanish side who dominated play on a steamy night on Russia’s Black Sea coast. The match was drawn sides scoring 3 goals each. Spain dominated the play but they couldn’t contain Christiano.who’s opening goal from the penalty spot allowed him to become the fourth player to score in four World Cups, joining Pele, Miroslav Klose and Uwe Seeler. In the opening game of the World Cup played in Moscow on the 14th Russia beat a weak Saudi Arabian team 5 – 0. The Federation of Medicine Teachers’ Association has decided to keep away from academic affairs in Faculty of Medicine of Kotelawala Defence University protesting against the admission of students who have not fulfilled qualifications recommended by Sri Lanka Medical Council (SLMC) say reports. Dr Manuj C. Weerasinghe. Head Department of Community Medicine, specialist in Community Medicine & Senior Lecturer. Department of Community Medicine states the Association opposes the government’s decision of admitting students who have not obtained two ‘C’ grades and an ‘S’ grade for subjects that come under Bio-Science stream at the A/L examination which is the minimum qualification to enter as recommended by SLMC. The opportunity citizens have to get information regarding the economy is being denied due to the moves by the Central Bank say reports. Records regarding tax collection relevant to the year 2018 have not been mentioned In the weekly and monthly records on economic affairs published by the Central Bank. The weekly economic index released on 14th June 2018 details given is only up to December 2017 and it is also stated that this information could be amended. When ‘Lankatruth’ inquired from the Member of the Central Committee of the JVP regarding the failure to issue reports relevant to collection of taxes despite six months have gone by since the 2018 financial year has commenced, he said it is a serious denial of the opportunity the people should have to know information regarding the economy that affects them. He said the reports indicate the real nature of the economy of the country and the Central Bank should have released at least information regarding the first quarter of the year he added. 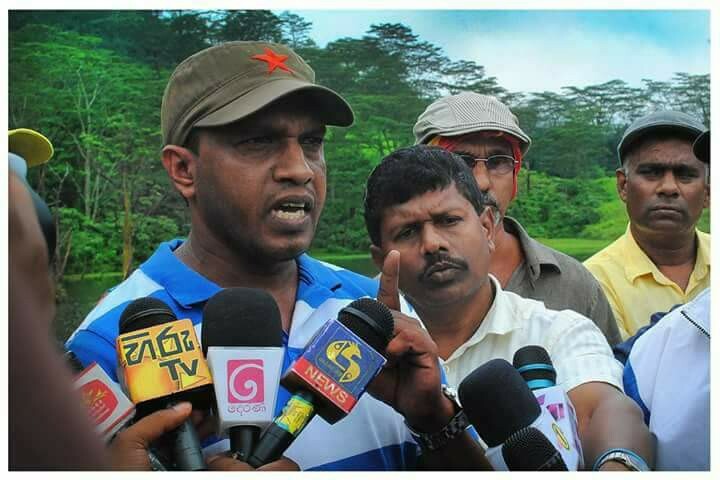 The 20th amendment to the Constitution presented to get the executive presidential system abolished is a struggle for civility against tribalism says the Leader of the JVP Anura Dissanayaka. 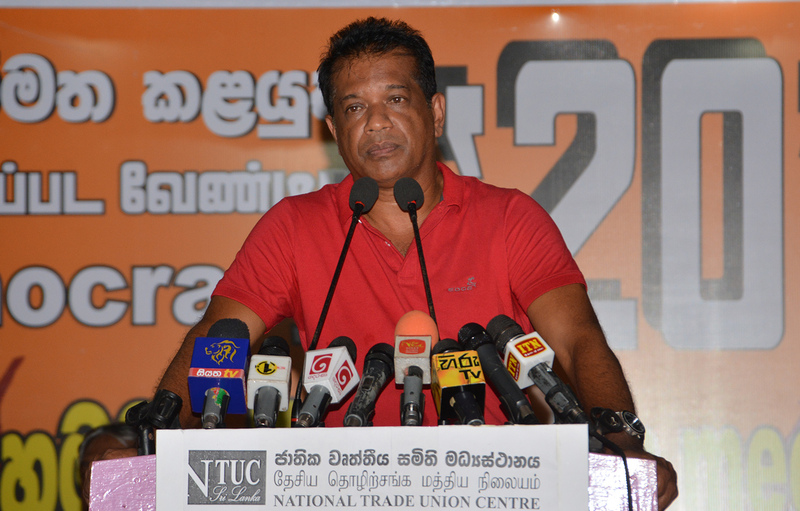 He said this at a seminar organized by the National Trade Union Center (NTUC) at Colombo Public library Auditorium held yesterday (13th) to apprise trade union representatives regarding the 20th amendment to the Constitution presented to parliament by the JVP. Mr Dissanayake said, “The main goal of the ‘20’ is to strengthen democracy in the country. Some ask whether it is the main issue in the country. We need a struggle in the country for national unity and against communalism. The economy has tumbled, the rupee has depreciated. 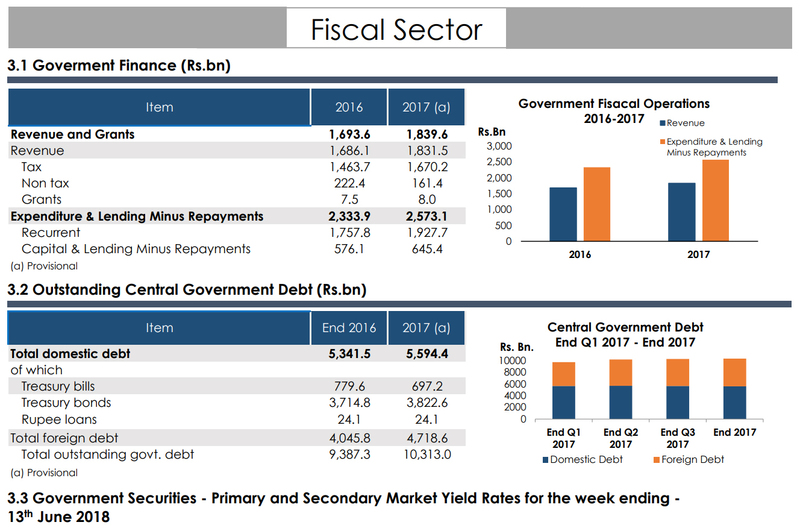 In 2019 a loan of US$ 4.5 billion has to be settled. The issue is how such a colossal sum of money could be paid back. A struggle should be carried out against the destructive economic policy followed by this government. Crimes, motor accidents, committing suicides have escalated. As such, we have to carry out struggles in several sectors. Similarly, a struggle should be carried out to win democracy as well. Some ask us whether democracy could be eaten. The truth is that the breakdown of all the sectors in the country is due to the breakdown of democracy in the country. The main obstacle to stabilizing democracy is the executive presidential system. According to some establishing executive presidency is patriotic and abolishing executive presidency is unpatriotic. Imperialism had the need to create autocracies so that they would have open markets to establish plundering economies and exploit labour. This is how J.R. Jayawardene brought the executive presidential system to our country. He needed an exclusive power to suppress the opposition that rose against the open economic system. The executive presidential system is the power he needed. At the 1980 July strike, thousands of workers were sacked. This shows that the destructive economic path of imperialists needed rulers with executive powers. As such, the executive presidential system is a creation of imperialists. It was the USA that was behind dictatorships in Iraq, Libya and Tunisia. Those gentlemen who talk about patriotism should know that the executive presidential system is the unpatriotic system. Today, in our country, the institutions that had been established for democracy have become irrelevant institutions. A cabinet is appointed to take the decision on behalf of the masses and to administer the country. However, the cabinet became an ineffectual body due to the executive presidency. Due to executive powers, the cabinet papers presented by the President get approved on the same day. No one objects. However, when we were in Ms Chandrika Kumartunga’s cabinet we did not allow certain cabinet papers to be passed. It was the first time that a President’s cabinet paper was opposed. Also, the President took under him or her the most important sections of ministries. Also, the most important ministries in the country were under the President or his relatives. During Mr Mahinda Rajapaksa’s tenure, 52% of the finances in the country were administered under four ministers. About 90 other ministers administered only 48%. Also, today our country is not ruled by a cabinet. The government is outside the cabinet. Even during Chandrika’s time, the decisions were taken by Chandrika, Mano Thiththawella, Balapatabandi and Tara de Mel. In Mahinda Rajapaksa’s government, the government was Mahinda, Basil, Chamal, Gotabhaya and Namal. They are never responsible for the masses. What the Ministers do is to carry out various local businesses such as cutting down trees, mining for sand, gems, having a quarry or planting hashish. These ministers do not rule as they have no power under an executive president. The judicial sector is not independent. The executive president has suppressed its powers. Normally, the most senior person in the sector is appointed as the Chief Justice. However, Mahinda Rajapaksa appointed Mohal Peiris who was not a senior in the sector. Furthermore, he was eh Chairman of Seylan Bank. So, the chairman of a bank is appointed the Chief Justice. He was appointed after sacking Chief Justice Shirani Bandaranayaka. The judiciary is made an institution without any power. Also, the executive President could change the decisions given by courts. Of course, there are provisions to grant justifiable pardons, reprieves, respites. However, Mahinda Rajapaksa used this provision to free persons who misappropriated funds, murdered women, rapists and criminals. Also, the executive president can get the opinion of the Supreme Court secretly so that the people use the opportunity to take legal action against certain matters. Mahinda got the opinion from Supreme Court that he could contest thrice for the presidency. As such, no one could challenge it. This system should be changed. The government could always get the opinion of the Attorney General. The legal advice to the government is the Attorney General. The people should have an opportunity to challenge his opinions. As such, in the 20th amendment, we propose that presidential pardon could be given with the approval of the cabinet. Also, executive powers are used to destroy political parties. Mahinda Rajapaksa included Anarkali in the SLFP list of nominations. At the time eh district leader was Shan Wijayalal. No one knows why she was included in the nomination list. Mahinda Rajapaksa began constructing the SLFP head office. The Secretary-General was Maithripala; the Treasurer was Dallas. However, funds were collected by Namal Rajapaksa. Why was that? Because the father was the executive president. This is how executive powers are used to demolish democracy in political parties. Hence, these executive powers should be taken away. In fact, there is no argument about abolishing executive presidency. The issue is whether ‘20’ is capable of doing it or not. There are institutions that are reserved and with the know-how of amending constitutions. The ‘20’ was compiled by a group that supported the JVP. As such, there could be amendments to it. Even 17th, 18th and 19th amendments received a lot of new amendments. There could be such amendments to the ‘20’ as well. There is no debate regarding abolishing the executive presidential system. Everybody opposed the day executive presidential system was introduced. The main slogan of Ms Sirimawo Bandaranayaka, Chandrika Kumaratunga in 1994 and in 1999, Mahinda Rajapaksa in 2005, 2010 and 2015 and Maithripala Sirisena in 2015 was abolishing executive presidency. The UNP too at a party convention adopted a proposal to abolish executive presidency. In 2005 Mahinda Rajapaksa contested the presidential election putting forward abolishing executive presidency as his main slogan. However, Ranil Wickremesinghe contested not to abolish executive presidency but to protect it. Those who are making a big din today to protect executive presidency should have, in 2005, supported Ranil, not Mahinda. Individuals who were with the JVP then and shouted to abolish executive presidency are today talking about protecting executive presidency. According to them, the executive presidency is necessary to engage in war if the country is pushed towards a war. We of the JVP would like to say that we engage in politics so that there wouldn’t be any opportunity for another war. Our politics is not to create a war but to prevent such an occurrence. Of course, for some, the absence of a war situation in the country is stultifying and unprofitable. For, their politics was to display war and become heroes. Today, the wishes of the likes of Weerawansas for a war are more than that of LTTE members. That’s why even when a small incident happens they come out shouting ‘tigers have come’. Their wish to keep executive presidency is to make war not to prevent war. The executive presidency was the cause of the war. During the Development Councils elections, the Jaffna library was torched. The ‘black July’ was created in 1993. LTTE’s suicide bombers were created by undemocratic acts carried out by JR’sexecutive presidential powers. JR was called ‘Yankee Dickey’ then. Due to the pro-USA policy followed by JR India supported the LTTE. They were given weapons and training. The LTTE, which was a minor organization became a big, murderous organization due to changing the foreign policy by JR using the executive presidential powers he had. It is the executive powers that escalated the war. How did the JVP become an armed organization? With the ‘black July’ in 1983, JR proscribed the JVP. Aat the presidential election in 1982 the JVP polled 273000 votes. At the next general election, several MPs from the JVP could have entered parliament. However, JR, using his executive powers proscribed the JVP. The JVP had to struggle against suppression. It developed into a civil war. The rulers murdered a large number of our comrades. The country was made a mobile cemetery through JR’s powers of the executive presidency. Also, JR signed the Indo – Sri Lanka pact. Premadasa opposed it then. The cabinet did not approve the decision. However, he signed the pact arbitrarily. Today, certain provincial councils talk about devolution of power. The agreement to establish provincial councils was signed using executive powers. The executive presidential powers were used to divide the country and create wars. 148 unarmed civilians, who took to the streets protesting against the agreement on the day the pact was signed, were murdered using executive presidential powers. The JVP worked against the agreement. We have the responsibility of abolishing executive presidential system despite the traitors who have betrayed the struggle opposing such a move. Next, we are accused of carrying out a contract from Ranil. No one can dictate terms to the JVP. It is those who make a din about the dangers of the ‘20’ that have become lap pups. How could ‘20’ become a Ranil’s contract? What happens to Ranil when ‘20’ is adopted? If the ‘20’ is adopted we have proposed that Parliament should be dissolved on 8th February 2020. Then the government that should be in office until September 2020 ends in February. In reality, Ranil’s government has to end its term 7 months earlier. Then they say Ranil get a month to enjoy powers. We have proposed a month to prevent the country from reaching an anarchic state. However, if anyone proposes that parliament should be dissolved on 9th January 2020 we would not object. However, Mr Maithripala Sirisena could remain as president until the ‘20’ is adopted and the next parliament is elected. Otherwise, Maithri will have to go home on 9th January 2020. According to ‘20’ Maithri can remain as President for some more time. Also, according to the present Constitution Mahinda Rajapaksa can become neither the leader of the state nor the leader of the government. However, according to ‘20’ Mahinda can become the leader of the government. For, according to ‘20’ the Prime Minister becomes the leader of the government. As such, anybody can now say the ‘20’ is brought to benefit Mahinda. According to the present Constitution, there is a legal issue that states Mahinda cannot become the prime minister either. According to the Constitution, if the president’s post falls vacant for some reason, the prime minister becomes the President. As a person who has held the post twice cannot become the President there is this legal hitch that would prevent him from being the PM. For, only a person who could become the President should be appointed to the post of the PM. Whatsoever, the JVP is not concerned about personal factors. We do politics for the country. Another group says we brought the ‘20’ as we are afraid of Gotabhaya. We would like to say this. We, who are not scared of the king, would not be shaken by a court jester. We are prepared to carry out our politics confronting any enemy and under any circumstances. They say Gotabhaya cannot become the President if ‘20’ is adopted. It is not an issue for us or the country. It is a matter for their family. If Gotabhaya cannot become the President Mahinda can allow him to be the PM. Let the members of the family settle that. People like Weerawansa and Gammanpila make a din as the path towards presidency gets closed to Gotabhaya when ‘20’ is adopted. There are a few individuals who oppose bringing ’20’. Among them are Weerawansa, Gammanpila, Hakeem, Mano Ganeshan, Sarath Fonseka and Champika. How can they fall into the same bag? Mano Ganeshan, Sarath Fonseka and Champika are traitors according to Weerawansa and Gammanpila. According to Weerawansa and Gammanpila, the two of them are patriots. The leader of Hakeem, Mano Ganeshan, Sarath Fonseka and Champika is Ranil Wickremesinghe. Werrawansa’s and Gammanpila’s leader is Mahinda. How do they fall into the same sack? All of them cannot win an election if they contest on their own. They need an idol. It is the executive presidency. If it is abolished they will have to worship 113 to get things done. However, they feel it is easier to worship one idol. Next, they say people like Aloysius could become the President. Didn’t President get sold for money? Didn’t Shiranthi’s account get funds from Chinese companies? Didn’t Pushpa Rajapaksa’s account get money? Can they deny it? The President himself got sold to foreign companies. Oil companies buy presidents. As such, getting sold cannot be prevented with constitutional matters. The country should have a righteous political culture. The ministers who have stolen would be forced to resign only if people are prepared to pressurize them. It is the people that should create a state where their representative who has acted against their wishes cannot come before them. However, when an MP who had stolen goes to prison, it is as if he is going to get an award. He is blessed by the Sangha. Now, he thinks it is eh best path for salvation. Even before the Perpetual Treasuries incident, we said MPs get sold like rotten fish. This is what has happened today. Hence, getting sold through the Constitution cannot be prevented. This is why we have attempted to bring in provisions to prevent MPs taking action to censor action taken by the party against them. 150 votes are necessary to adopt the ‘20’. We have only 6 MPs. However, in 2001 when we had only 10 MPs we got the 17th amendment adopted. 223 MPs voted for the ‘17’. Now UNP has 106 MPs, Mahinda has 54, TNA has 16, Maithri has 23 and 16 at the door-sill and Devananda has 1. There should be a general agreement. All amendments accept the ‘17’ and ‘19’ were adopted when the government had 2/3rd majority in Parliament. Except for the ‘17’ and ’19’, all other amendments are undemocratic. Only the ‘17’ and ‘19’ are favourable to democracy. They were adopted with the general accord. As such, the composition in Parliament at present is favourable. Mahinda who leads one group favour abolishing executive presidency. Maithripala has on several occasions said executive presidency should be abolished. Ranil Wickremesinghe too has agreed to abolish executive presidency. All these have an agreement. There is a common factor. According to the Constitution, Mahinda cannot become the President. Maithri cannot get reelected even if he wants. Ranil who could not contest in 2015 would never win. Whatever said and done Welgama, Bandula, Prasanna Ranatunga and Vasudewa have agreed that executive presidency should be abolished. We are optimistic about it. We have a dialogue on the ‘20’. Let’s discuss the areas that should be changed. However, there is another group that would never change. It’s useless discussing with them. If they don’t like the ‘20’ because it was brought by the JVP let them get someone else to bring it. For, we have experienced destructive results of the executive presidency. Dictators have been created by the executive presidency. We also are experiencing the menace of the executive presidency when it is wielded by a weakling. We have experienced the after-maths of both extremes.